NEW YORK (Reuters) - Making mini satellite dishes that collect signals or building remote-controlled mini Rovers such as the kind NASA has used on Mars are the types of activities that could interest kids in science, but their complexity can derail all but the most enthusiastic hobbyist. Now, NASA, the U.S. space agency, hopes it has found a workaround through new space kits and a collaboration with a New York-based startup called LittleBits. NASA, through its Aura mission to study the Earth’s ozone layer and climate, is working with LittleBits to develop activities around a new $189 space kit, announced on Thursday. Using electronic modules such as motors and dimmers that snap together, the creations will perform functions that normally might require hours of tedious tinkering or piles of electronics components. The new kits are more demanding than playing with snappable blocks like Legos, but far easier than wiring, soldering or programming. “You don’t have that frustration level,” said Steve Heck, a 5th and 6th grade math and science teacher at Mulberry Elementary in Ohio who says too many students lose interest in science and space experiments when the projects become too difficult. For NASA, the partnership has a more specific goal. 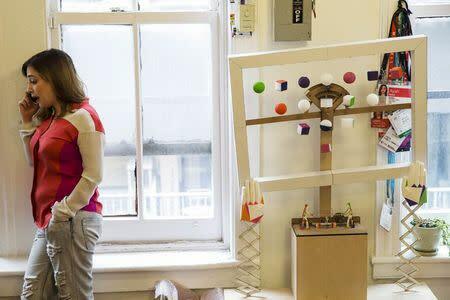 NASA reached out to LittleBits after Butcher saw its chief executive and founder, Ayah Bdeir, give a talk in 2012 about the company’s online modules and decided they could be helpful for Aura’s educational goals. LittleBits is building and selling the kit while NASA is developing the activities that go along with them. NASA will not benefit financially from the sale of the kits, Butcher said. While the playthings are designed to stay earthbound, a few lucky kids could see their creations end up in space. Working with a company called Xcor Aerospace, Heck said he hopes to get 10 student projects onto a suborbital flight in 2015. The students will be selected through a contest, and Heck said he believes many will submit LittleBits-based projects. 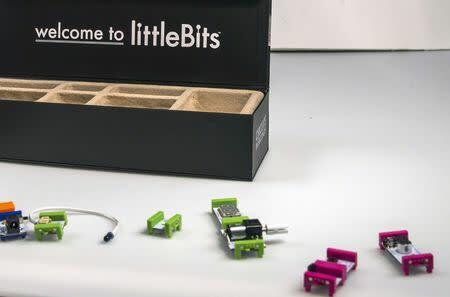 LittleBits says the kits will boost revenue as well as the company’s missions of incorporating better design into electronics and increasing familiarity with electronics among the public. “Not understanding electronics is a form of illiteracy,” said CEO Bdeir. 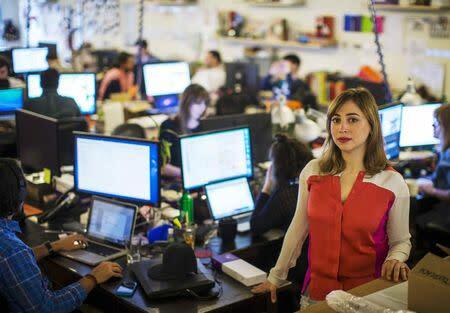 Her company is backed by venture-capital firms including the Foundry Group, Khosla Ventures and True Ventures. It is unclear what demand may emerge for the kits - Bdeir said she expects to sell tens of thousands - or if they really will help children better understand the electromagnetic spectrum or outer space. They go on sale at a time when space-related issues are increasingly coming into the public eye. A few days ago, scientists announced they have found an earthlike planet known as Kepler-186f.